Description: Rhonda Rajsich / Maria Jose Vargas vs. Michelle Key / Frederique Lambert. 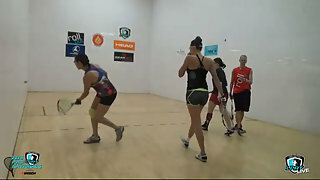 LPRT Cali Open Doubles Semifinals. Which one of these top teams will advance to the finals?